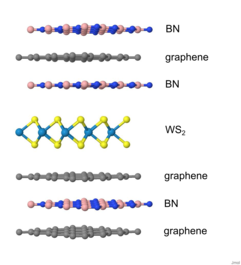 Heterostructures of two-dimensional crystals such as graphene, boron nitride or transition metal dichalcogenides are a novel approach in material design. 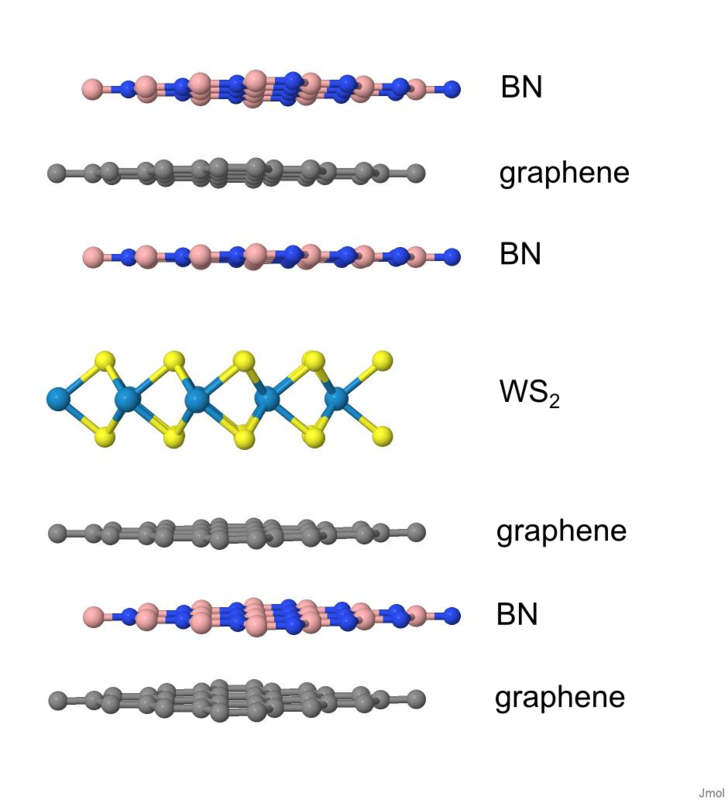 In contrast to conventional heterojunctions, the different material layers are held together by van-der-Waals forces, while the atoms in the layers a strongly covalently bound, ensuring flat surfaces and sharp interfaces largely devoid of dangling bonds and crystal defects. At the same time, the reduced dimensionality in the single layers gives rise to unsual physical properties by virtue of confinement effects, which are interesting for practical applications. We study the electronic, optical and vibrational properties of few-layer transition metal dichalcogenides and similar two-dimensional crystals and van-der-Waals heterostructures thereof by means of theoretical calculations within the frame of (time-dependent) density functional theory and many-body methods.